The City of Lights undoubtedly knows how to bring out wonder and romance to every soul. 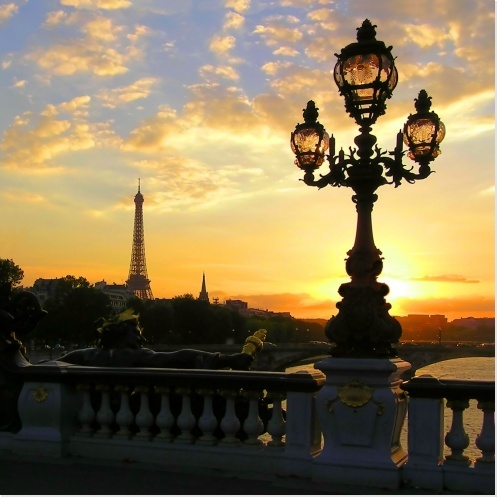 Traditional and trendy, monumental and secret, French indeed yet highly cosmopolitan, Paris is all that at once and more! The city has always been on top of the must-see list for anyone contemplating a trip to the Old World, for it embodies style, glamour and charm and offers a wide variety of unique attractions, from cultural sights to culinary delights. No doubt Paris will ravish your palate, eyes and mind. Two thousand years of history have shaped its cityscape and strolling about its streets feels like a time travel: remains of the old Roman Lutetia, gothic masterpiece Notre-Dame, French classical elegance: History is at every corner. Narrow, winding streets in the Marais evokes the middle-ages; hilly Montmartre, with its unique village atmosphere, was where the Paris Commune began in 1871; the lavishly decorated Opera Garnier and the Boulevards drawn under Napoleon, remind the imperial grandeur. Named after the Parisii celtic tribe of fishermen who first settled on the Ile de la Cité, the city was taken over by Julius Caesar's legions in 52BC and renamed Lutetia. Aware of its strategic position, the Romans gradually turned the village into a city centred on the left bank of the Seine (on what is now called the Latin Quarter). The conquerors brought the roman way of life and urbanism including arena, aqueduct, and public baths, soon enjoyed by the local population. Raided several times during the barbarian invasions, Paris lost its importance in the following centuries with the Frank power shifting to the East. The election of the Count of Paris as the first King of France ushered out a new era of splendour for the city. The Capetian Kings made it the seat of their power and erected fortifications. At that time Paris was the most populous and wealthy city in Western Europe and equipped with a church matching its new found affluence: the Notre-Dame Cathedral. In the 13th century, the swamps of the Marais area (right bank) were drained and the Sorbonne was founded as one of Europe's first Universities. In the 16th century, the Renaissance initiated in Italy soon reached Paris. 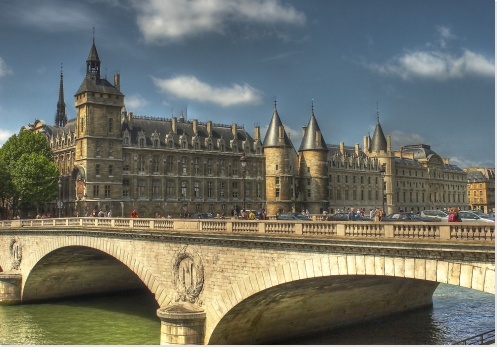 Under the reign of Kings François 1 and Henri 4, Paris covered with new elegance and grandeur as the Townhall, the Place des Vosges and the Louvre Palace were being constructed. In the second half of the 17th century King Louis 14, also known as the Sun King, decided to leave Paris and the Louvre to install his Court at the brand new palace he had him built in Versailles. The Kings of France were to rule from Versailles, Europe's biggest palace, until the French Revolution in 1789. The subsequent 19th century was dominated by two emperors, namely Napoleon the First and his nephew Napoleon 3. If the former is widely known as a military genius, the latter, as a city planner, made a great deal in giving Paris its current shape. Under the leadership of Prefect Haussmann, dozens of miles of large and paved avenues were drawn, hectars of parks and thousand of trees were planted, five train stations, the Opera House and many other buildings were built. 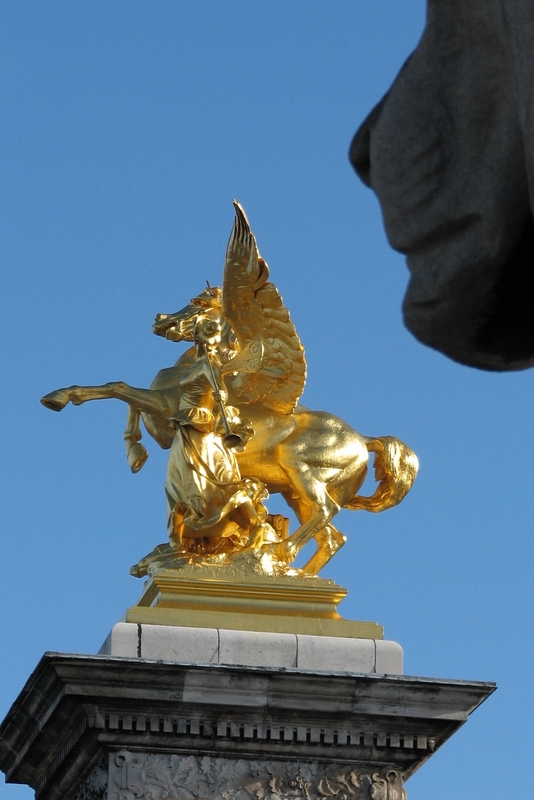 Today's Paris owes a lot to Napoleon and Haussmann's vision and energy. In 1889, the Eiffel Tower was inaugurated for the Universal Exhibition. The tower was meant to be dismantled at the end of the event. It eventually became Paris main sight as well as its symbol. Paris went through the 20th century turmoil almost unspoilt. If the city fell under the thumb of Nazi Germany as the whole country and thousands of Jews were brought to a certain death by the collaborationist state, the city's magnificence was spared by the German commander who could not obey Hitler's foolish order to bring it to ashes. And the city enters a new millennium treasuring its century old heritage and building up its future: the Tower of Montparnasse (tower), the audacious and colourful Beaubourg Museum or the Great Arch in La Defense, are now part of the cityscape. : It is tossed about by the waves but never sinks!